These lab created rubies are made with flaws in them. 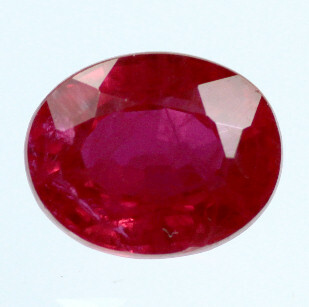 They are a closer match to natural rubies than the other type for sale on this site as they are quite heavily flawed. They match the chemical properties of a natural ruby and have a hardness of 9 Mohs.